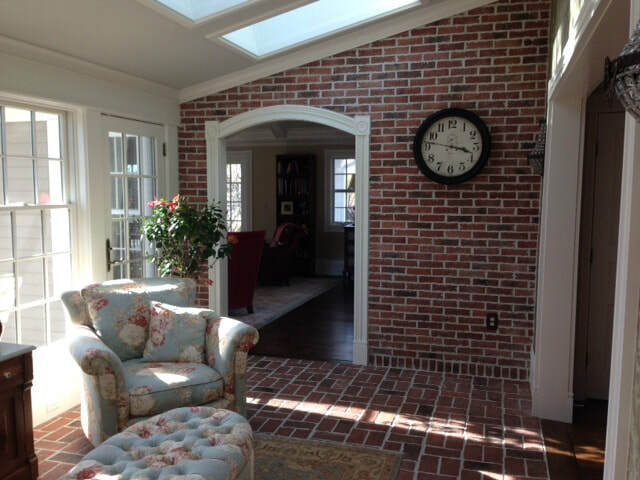 Sunrooms and brick floors are perfect together. Install a heated brick floor with our tiles for a toasty room in the winter months. If sunlight lays on the floor, it will also hold the warmth with radiant heat. Because our brick pavers flooring tiles are lab tested for freeze/thaw hardiness, some homeowners will run them through the sunroom and out to an adjoining patio, seamlessly bringing the outside in. Be sure to look at the thumbnail pictures of installations at the bottom of the page. Click on them, and they will enlarge. The above pictures are courtesy of the Menzie family. 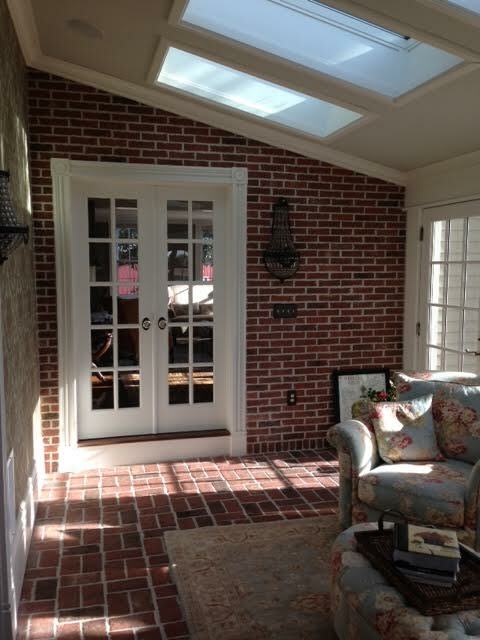 They used our tiles in a four-season sun room over a radiant heat floor. This is such a beautiful room, and I enjoy these pictures every time I look at them! 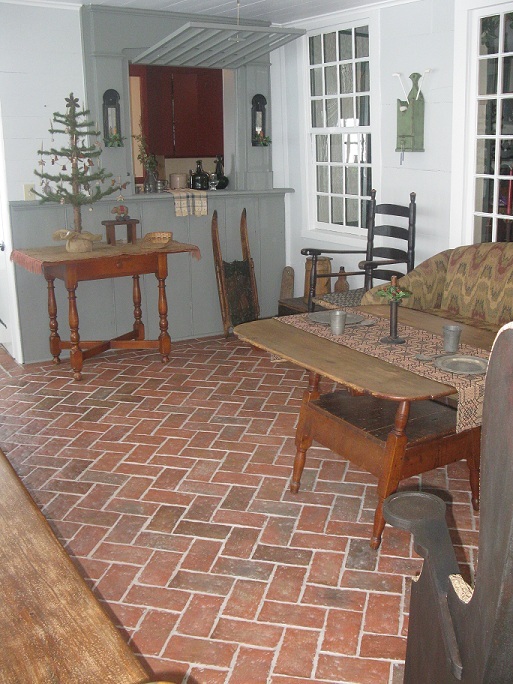 The Menzies used the Wright's Ferry brick tiles, in the Providence color mix. 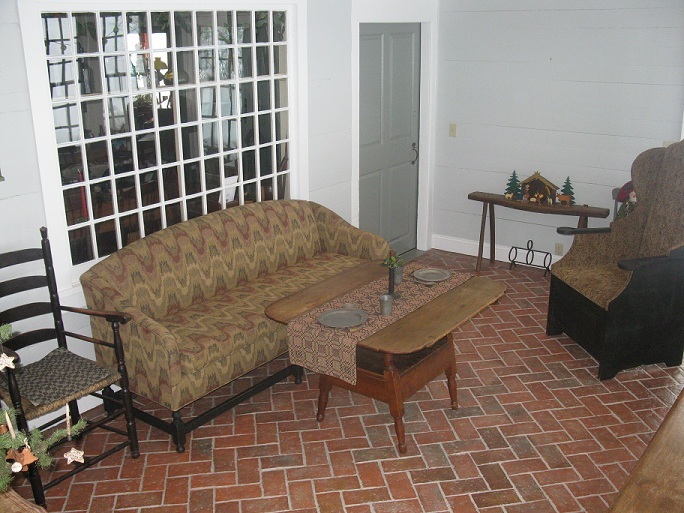 Above are pictures of the Wholley sunroom. They used the Wright's Ferry tiles on the floor, and Lancaster Running Bond on the walls. 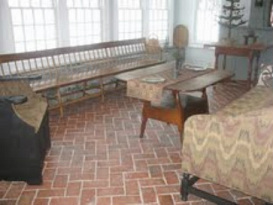 See an assortment of sunroom pictures in the thumbnails on the right. Click on them to view larger.